Un des atouts de la Station. L'équipe du Pôle propose des animations et des activités variées toute l'année. 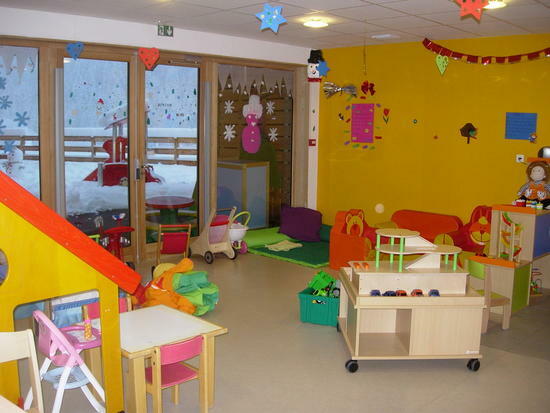 Vaujany’s day nursery welcomes children from the age of 6 months to 3 years. The professional organises various indoor and outdoor games taking advantage of the mountain environment. – Children’s-club for the 3 to 11 years old. -Kids club open from 8.30am to 5pm (booking needed). Offseason : from Monday to Friday. Winter season : every day. The website of the children’s club. * the 3 years olds are subject to an initial half day trial. • The ticket for the cable car to Montfrais is offered to non-skiers who take their children to the ski lessons.